Rachel Melland is a member of the South Australian Government Natural Resource Management Council Assessment Sub-committee, and is the Immediate Past President, Weed Management Society of South Australia, NGO. Rachel has a background in biological control research, weed risk assessment and broader natural resource management issues (including revegetation and salinity issues). Rachel has worked for the Victorian and South Australian State Governments (SA Dept. of Water, Land and Biodiversity Conservation, and SA Environmental Protection Authority), and the Universities of Melbourne and Adelaide. Rachel undertook an ARC scholarship in freshwater ecology at Monash University. Her PhD investigated the control of boneseed (Chrysanthemoides monilifera ssp. monilifera) using fire, herbicides and other techniques in temperate Australian woodlands. 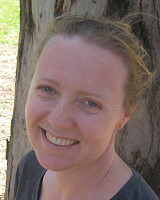 Rachel has undertaken many leadership roles, including key roles on the organising committees of the 15th Australian Weeds Conference, Adelaide, September 2006, and the 1st South Australian Weeds Conference, Adelaide, October 2008.